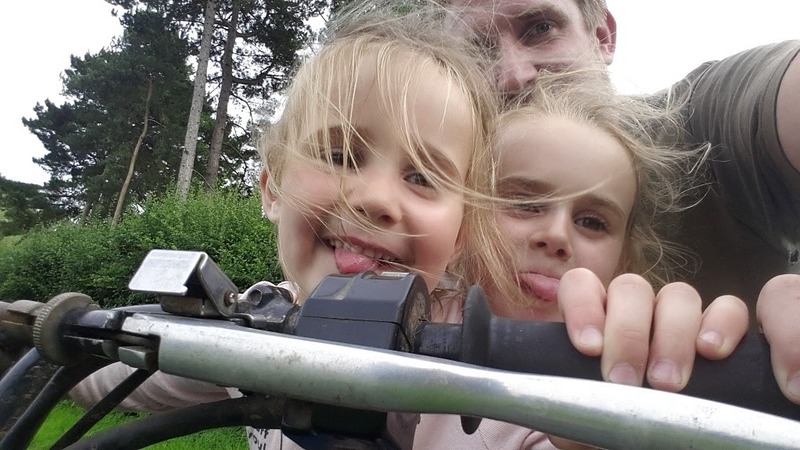 The most common question I'm asked is how do I fit so much in when I've got the kids full time? Simple, they do it with me when they can. Last night I got the sheep in to check them over. It's proper fly strike weather and the sheep were twitching enough to get me worried. Turns out they were absolutely fine, not a maggot in sight but it pays to be careful in this weather. The girls weren't going to stay inside, not when there's chance of a ride on the quad bike (the boy was napping and mum was home). 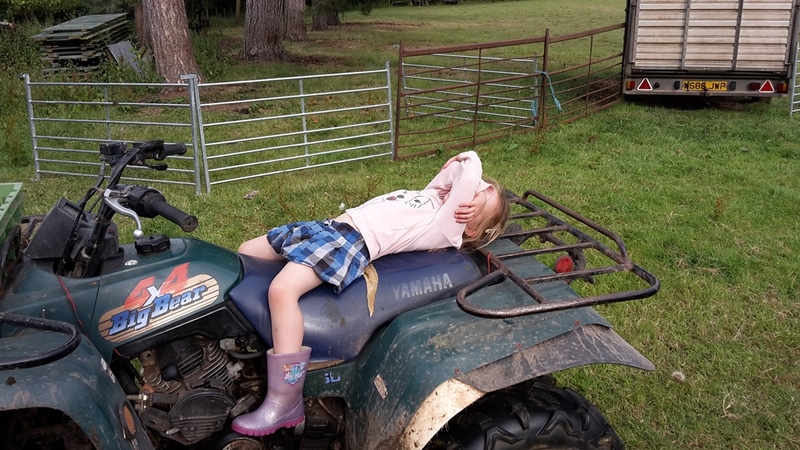 My younger daughter won't leave the bike if she can help it, she comes for the round up and beeps the horn whilst my eldest mans the pen and helps me funnel them in. We always go for a ride after we've finished, just a quick blast round the field with one child shouting faster and the other saying to slow down! Not sure how old they should be before I get them their own motor bikes! I know I was always a little crazy on them! Who else can remember being a kid and going on the back or front of a motor bike or quad? I certainly can! 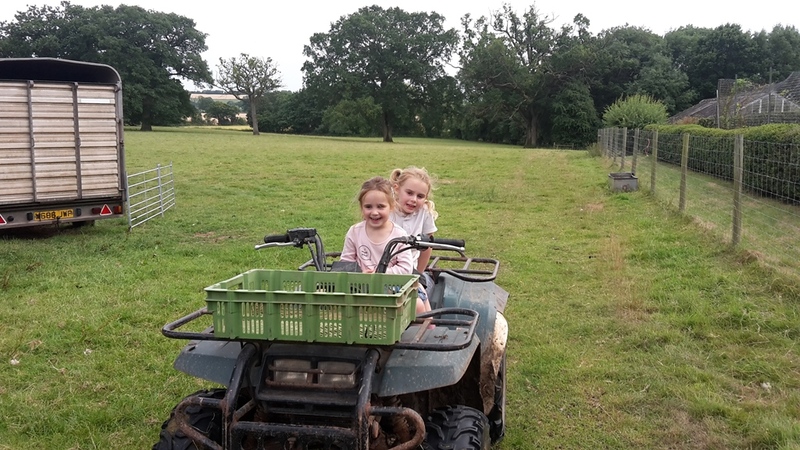 The quad is the first thing our grand kids want to play on when they arrive, most of them can now operate it without an adult, the smaller ones its still too big for them, we are keeping a looking out for a smaller one, they love all piling into the trailer while one of them drives. I think mine are a bit young yet, but soemthign for the future. Like I said I was a bit mad on it. 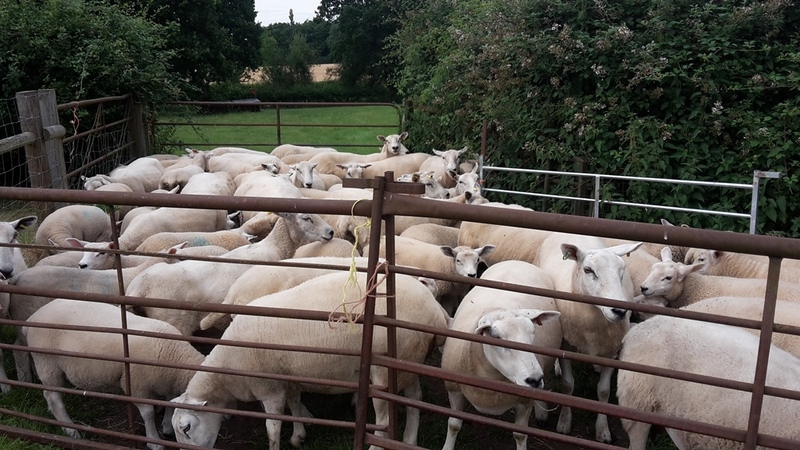 Having an extra pair of hands, however small, for rounding up sheep is always welcome. (Kev, in answer to an earlier query I've now started my own blog - click on my name to take a look). Yeah, it's always helpful. I remember much of my childhood like this! I'll pop over and haev a look. Can't wait to see your set up! I'll add you to my blog reel! We used to have a small moped that our girls loved riding on. that sounds great fun. We had quite a few different bikes and cars over the years. All quite old but great fun no less! My grandsons love the ride-on mower. It won't be long before I get them to use it for its actual purpose. We started on those, very slow races up the orchard! We were. 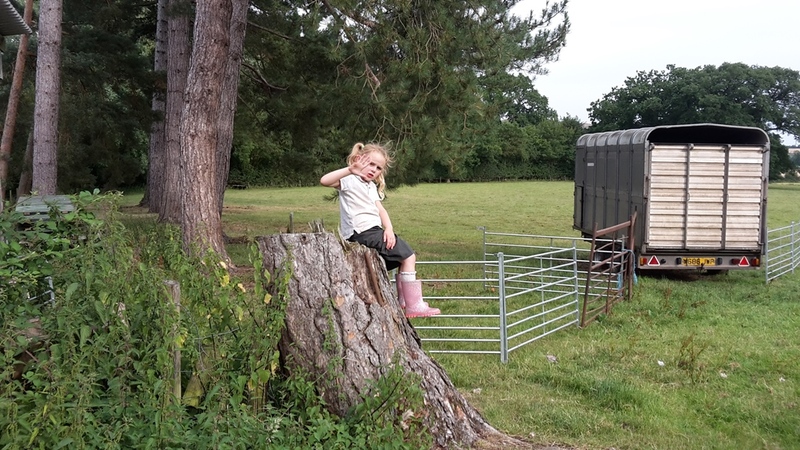 First time I drove on the road I was 11 with a Landrover and trailer and dad made me do it! A story for another time maybe!